You know Genesis right? And Yes? And Pink Floyd? And King Crimson? The big names of the English progressive rock scene which is more or less the best “scene” to have ever existed (in music or otherwise). 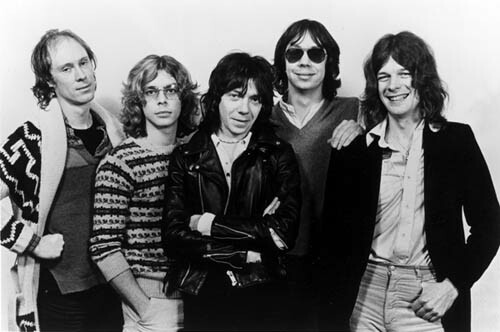 One name which flew relatively close to the ground during this era is Camel. It was only in retrospect that they began to enjoy their utterly deserved praise, thanks, in no small part, to the adoration of one Mikael Åkerfeldt of Opeth. Their influences litter Opeth‘s music truly tangibly1 and it’s this link which provided my introduction too. Their sound didn’t develop in a vacuum and reflects the bands with whom they’re compared. As such, Rain Dances falls into the same vein of late ’70s progressive rock which was reaching further into commercial acceptability, a path trodden by many of their compatriots and cross-border brethren. It was a deviation from their core four albums since their genesis but remains a worthy insight into the scene’s development from progressive purity. Rain Dances represents the distillation of all previous work into a compact and song-oriented release. It’s bite-sized, catchy and is entirely content to flip tones on the change of a song. While their 4 prior releases are cohesive, particularly The Snow Goose which is closer to a symphony than a segregated album, Rain Dances omits this completely, almost as if by design. The songwriting duo of Andy Latimer and Peter Bardens remains the same and utilizes the same instrumental range but it also represents the first recording without Doug Ferguson on bass and supporting vocals. His lovely, strolling bass-lines are definitely missed as this element is simply less present in the mix. The relative lack of cohesion is partially attributable to this loss. This could have been a hammer blow considering that Camel‘s flowing song-writing was one of their most prized possessions formerly. Fortunately, all the disparate snippets which compose Rain Dances are truly enjoyable. I mustn’t write a song-by-song review under pain of death so I’ll only take the mid-album core from “Tell Me” to “Elke.” Both of these bookends are incredibly relaxed, prominently featuring the flute which is central to The Snow Goose. The latter, particularly, is a highlight with a heart-wrenching melody and stunning execution. “Highways to the Sun” follows the former and is by far the most radio-ready track, bouncing along through its guitar lead and simplistic, catchy chorus. It’s entirely discordant with “Tell Me” and the transition is jolting but it makes for very easy listening. The subsequent “Unevensong” is my favorite moment overall, hiding more progressive genius in its 5-minute duration than most modern progressive bands can muster across 75-minute concept ‘opuses’. The guitars and keyboards are layered incredibly effectively, swaggering along that fine line between direct simplicity and an atmospheric soundscape. These are bolstered by the immaculate transition at 2:20 which later reprises as the outro riff at 3:50, a riff which boasts one of my favorite melodies that I’ve ever heard. “One of These Days I’ll Get an Early Night” fills the last, jazzy spot in this passage, feeling improvisational through its smooth keyboard and flamboyant saxophone. The catchier vocals and bite-sized nature of Rain Dances fits with the trend of prog in the late ’70s. 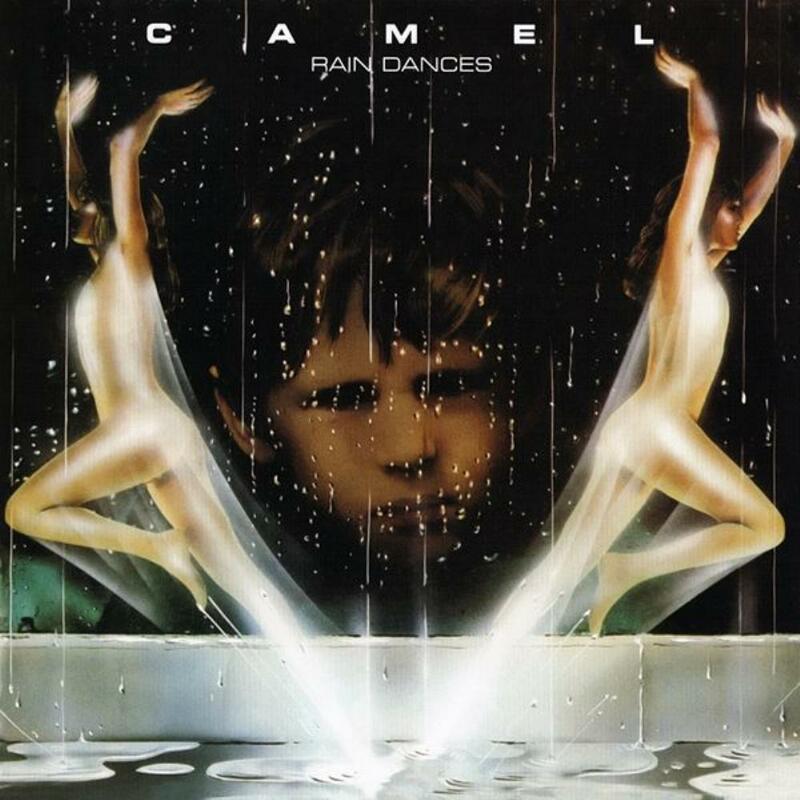 But, perhaps due to their relative lack of commercial success compared with these others, Camel never really rode this horse into the ’80s in the same way, a trend which arguably climaxed with the likes of Yes‘s 90125, Genesis‘s Invisible Touch and Marillion‘s Misplaced Childhood. It’s an intriguing snapshot which emphasizes that Camel were often similar but never the same as their cohort and finds an unusual spot in their discography which may not be for the purists but is supremely likable nonetheless. As such, it’s a worthy addition to the collection of any existing fans and may prove a slick route into progressive rock for others.